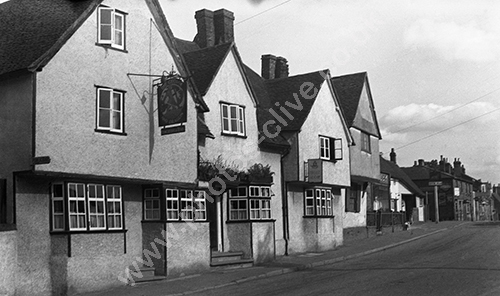 Clive Thompson LRPS Photography: George And Dragon, Codicote in the 1950s. George And Dragon, Codicote in the 1950s. In 2018 this was a Chinese Restaurant but in the 1950s (dated by eBay seller of negative) it was a pub that offered luncheons and teas. For commercial use of this photo, including use on another website, please visit Alamy.com and search for M5JJCB. For a one-off print please see below.